Compared with other lighting sources, LED lights are more energy and heat efficient. Filters allow you to adjust the colour and intensity of the light, either for creative effect or to balance ambient light. Most top lights incorporate a 1⁄4in screw thread that is compatible with a wide variety of stands and hotshoe adapters. Some tripods use standard AA batteries for power, while others have their own batteries and can run on mains power. Some LED lights use dimming controls for finer output adjustment. The downside is that it can be harder to replicate the light output later. This light will attract attention because of its low price, but in terms of size and spec, it doesn’t stand out. 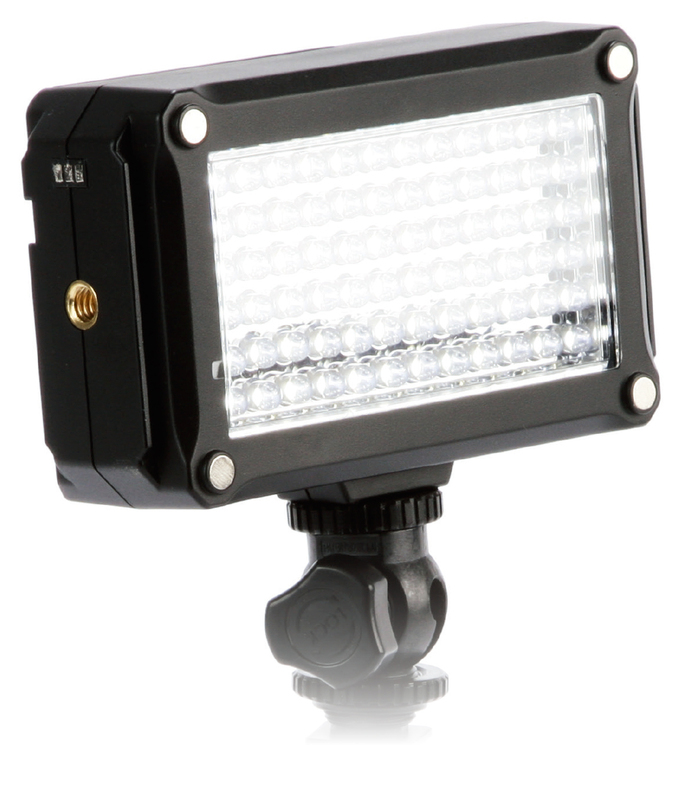 Designed to sit on the camera hotshoe or be attached to a 1⁄4in screw, the Metz 480 is a compact and tough unit that has 72 high colour rendering index (CRI) LED lights producing a colour temperature of 5,600K and a stated luminance of 480 lux. Four AA batteries power it, with a stepless dimmer from 0-100%. 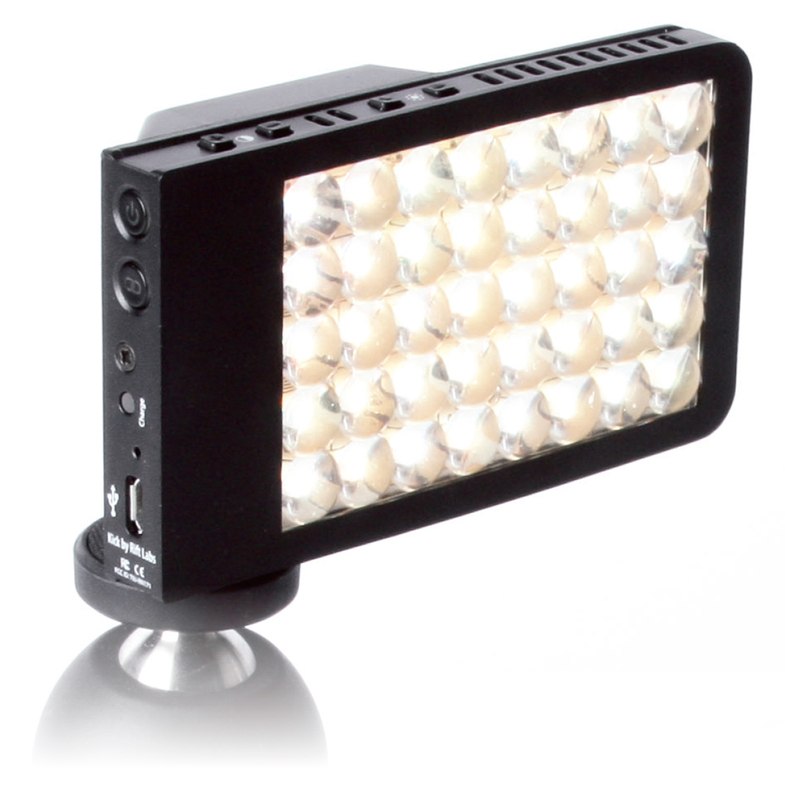 The light can also be modularly fitted to the Metz LED-160 to increase its power. I have a couple of concerns, though. First, the hotshoe adapter that comes with the light feels cheap. Also, Metz has chosen a magnetic system for attaching the provided filters to the light, but it doesn’t secure them firmly enough. As a result, while shooting at an event, I managed to lose both the artificial light filter and the diffuser filter that came in the box. However, considering the price, this light does produce good results and therefore represents good value for money. 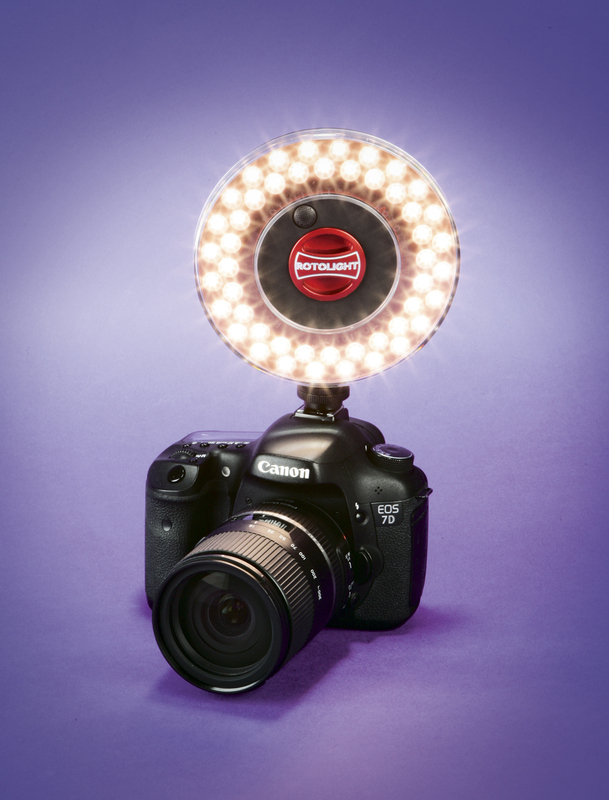 Although not the most powerful LED top light in Manfrotto’s range, the Spectra 500F offers some of the best colour performance in its class. Now available for under £200, this light has a high colour rendering index score of 90 (from a maximum of 100), so it should give natural-looking colours. In use, I was pleased with the results and saw my assumptions about quality based on its colour accuracy claims confirmed. The Spectra can produce a bright, even light with no obvious colour bias, thanks to its colour temperature of 5,600K. 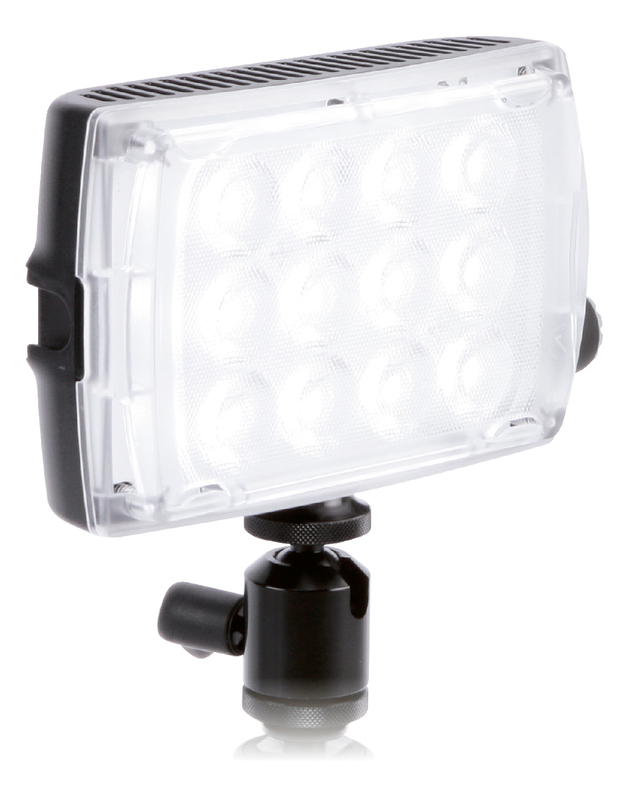 This neutral light is good for capturing video and stills in daylight. I also like the fact that it uses replaceable AA batteries, which means there’s no need to worry about having to stop to charge it when you’re shooting on location. Another useful feature is the ability to boost the light’s power by 60% when trying to work against harsh shadows caused by sunlight. A sturdy ball-head hotshoe adapter is provided and can be used to attach the light to a camera or lighting stand via its 1⁄4in screw thread. You also get diffuser filter sliders for softening the light and balancing cool tones. Rift Labs’ portable Kick light is a neat little package, with a feature set that is unrivalled by any of the other lights we’ve featured here. Its built-in lithium-ion polymer battery can be charged using a Micro USB input, and you can connect the Kick light to an iOS or Android smart device and control it wirelessly via a Wi-Fi 802.11b/g connection. But you don’t just get control of the light intensity, as the Kick has a continuously adjustable colour temperature between 2,800K and 12,000K, and can produce a very broad colour gamut. There’s a comprehensive free partner app that lets you finely tune the colour effect you want and even sample colours from pictures and videos displayed on your smart device – all without affecting the light’s brightness. If you have an iPhone, the Kick can securely cradle your handset with the light on the rear of the phone for use while taking pictures or filming, or just for ease of control. It can also connect to a tripod. Another impressive feature is that you can create and use lighting-effect sequences to replicate such things as flickering candlelight. This isn’t a particularly powerful LED, and I wouldn’t use it as my only option, but as an additional tool it can be useful. Designed to produce attractive lighting for interview set-ups, the Rotolight Interview Lighting Kit comes in a useful utility pouch. Two ring lights, a bag of gels including ND and light-balancing filters, and hotshoe adapters for each all fit inside the bag. Each light has 48 bright LED lights, but there’s no dimming switch or wheel on either unit. Instead, light, colour and intensity are controlled using the filter system, which can be a little bit fiddly when working at pace. The light can be adjusted to 6,900K, 5,600K, 4,100K and 3,200K, and even when unfiltered, they are soft enough to be used close to your subject without being overpowering. Although these are a slightly unconventional choice, their ring shape and light weight make them versatile and easy to set up. 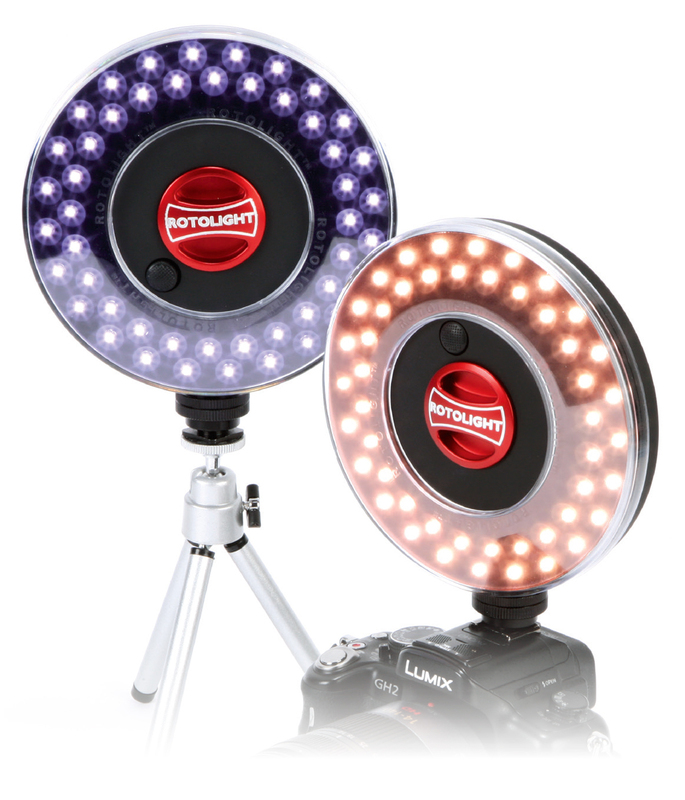 Rotolight also states that they are weather-resistant, which is another plus if you plan to work outdoors. You can get around four hours of continuous use with three removable AA batteries, which is pretty good for a portable LED. I wouldn’t recommend this kit for distances beyond two metres, but if your subjects are close, this is definitely worth considering.